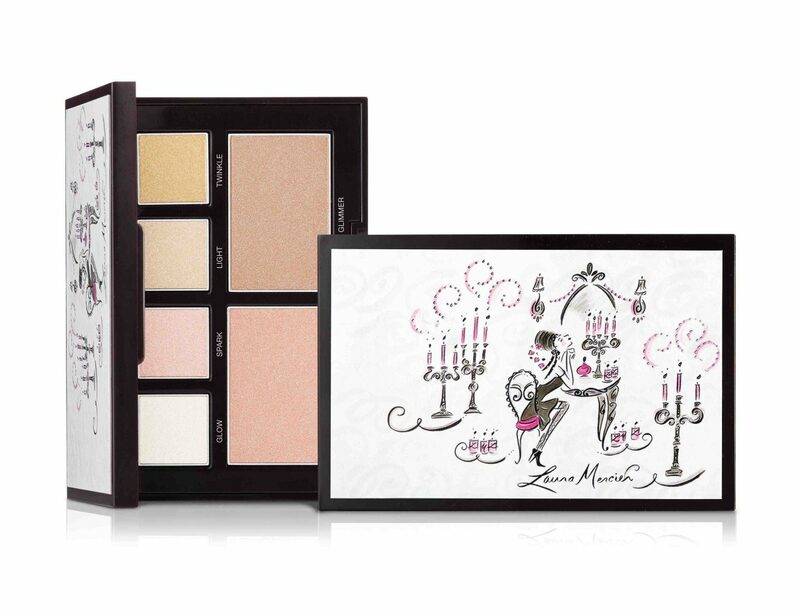 Create a perfectly sculpted face with new palettes from Laura Mercier, allowing you to play with light and shadow to enhance every dimension of your face. 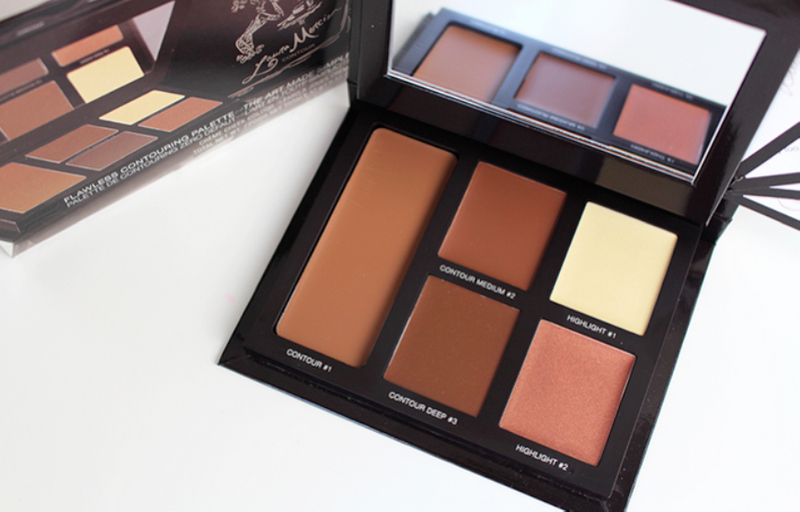 The Flawless Contouring Palette ($69) features five shades – three matte contouring colours and two highlights – in the creamiest of formulas. Enhanced with jojoba treated pigments for richness, pearl luster pigments for a dewy glow, and cross polymers to minimise creasing post-application, the cream formula blends beautifully for a natural and flawless finish. If soft luminosity is your obsession, the Candleglow Luminizing Palette ($69) will satisfy your cravings. Inspired by the soft, romantic twinkling of candles at dusk, this light-infused palette will help you to achieve that perfect glow. Two highlighting powders in a silky, ultra-lightweight formula capture light and softly diffuse it on the skin, refining the appearance of the complexion. The four versatile eye colours in the palette brighten the eyes with a delicate wash of shimmer that won’t crease, keeping the romance in the air wherever you are. 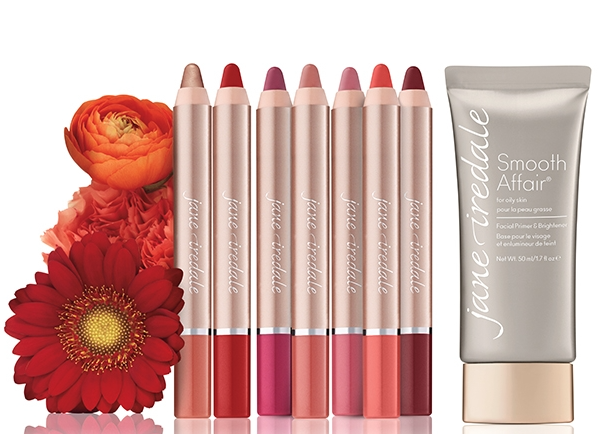 Couturing’s favourite mineral makeup brand, Jane Iredale, has added two new products to its expansive range. The new PlayOn Lip Crayons ($35) are formulated with a high concentration of moisturising oils, ensuring that your lips look and feel amazing all day. 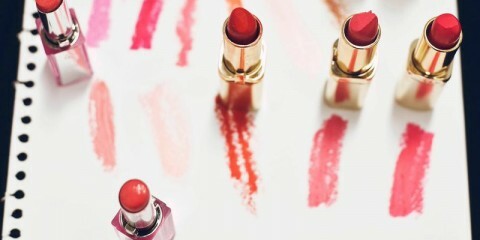 This hasn’t meant a compromise on colour, as the crayons provide rich colour pigmentation in a range of seven shades. Packaged as a sleek jumbo pencil, PlayOn makes application simple yet precise – perfect for busy, on-the-go women! Reformulating their award-winning Smooth Affair Facial Primer & Brightener, Jane Iredale introduces Smooth Affair for Oily Skin ($78). Adding their revolutionary PoreAway technology, the new Smooth Affair Primer mattifies skin, reduces pore size and shine to provide the perfect makeup canvas. Skin is further nourished thanks to number of complex ingredients including Grapefruit, Apple and Green Tea Leaf Extracts, promoting radiance and skin elasticity. 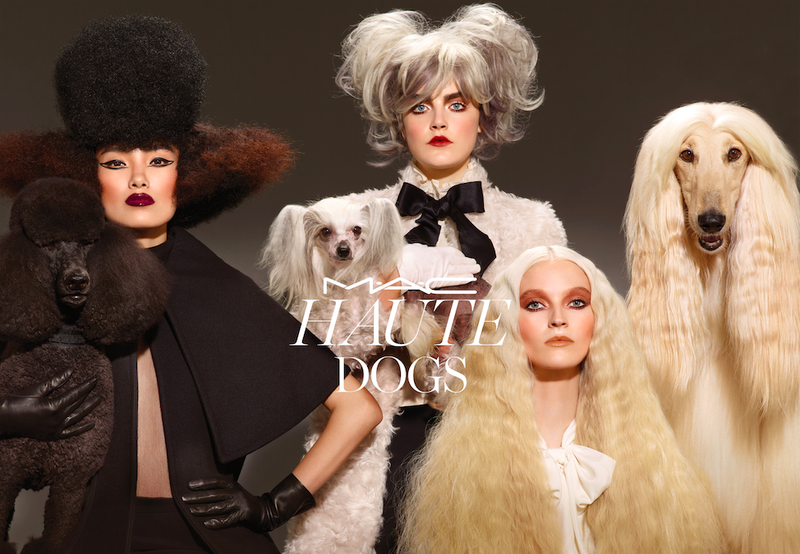 M.A.C launches Haute Dogs, a new collection inspired by (wo)man’s best friend. The new canine-inspired range features gorgeous buttery golds and shimmery pink tones, offset with regal berry colours to appease the aristocrat within. The collection includes a considerably large range of products and colours, starting with golden Mineralize Skinfinish powders ($47) and soft Sculpting Powders ($41) to warm up the face. Fluidline gel liners ($32) provide soft definition in blackened plum and pearly taupe-grey, pared back with the choice of three Mineralize Eye Shadow quads ($72) that offer greyish greens, coppers and creamy silvers. 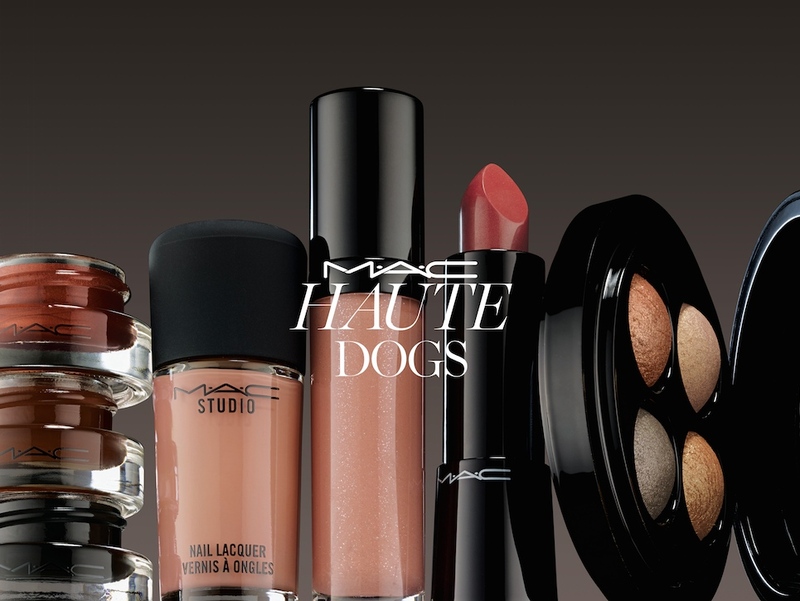 This is all topped off with three new M.A.C Studio Nail Lacquer shades ($22), and a huge choice of lippies in three product formulations – Mineralize Rich Lipstick ($46), Mineralize Glass ($43) and Lip Pencil ($30). Introducing Burt’s Bees latest addition to their Intense Hydration skincare range – the Nourishing Facial Water. The Nourishing Facial Water is designed to be applied before your favourite moisturiser, and will balance and prepare your skin to better receive nourishment and moisture. 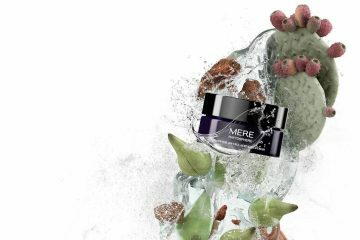 Infused with Clary Sage, Kiwi Fruit Water and Willow Bark Extract, the Nourishing Facial Water quickly absorbs into the skin and helps to hydrate, smooth and improve the texture of the skin. True to Burt’s Bees’ earth-friendly ethos, the formula is 99% natural, non-comedogenic and dermatologist-tested, and is housed in a 25% post-consumer recycled, recyclable bottle. There’s nothing worse than feeling a blemish brewing just under the skin surface, and knowing that by tomorrow, an enormous spot will have erupted onto your face. 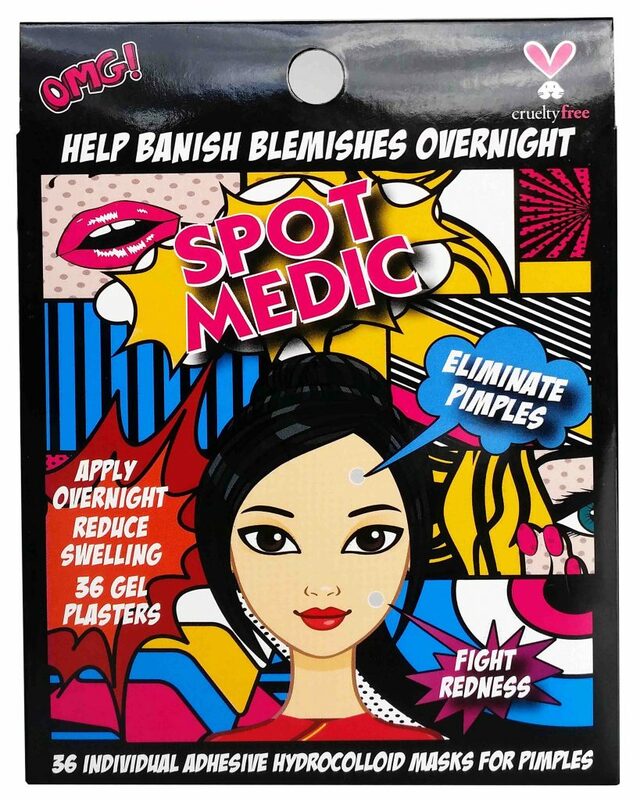 Spot Medic will solve your pimple problems overnight. These mini hydrocolloid gel plasters are an easy and effective way to banish blemishes. Simply place one over a problem spot and it will do all the work while you sleep, drawing out impurities from the affected area and reducing redness and swelling. With its adhesive base, you can sleep easy knowing that Spot Medic will stay put all night, taking out the bad stuff and stopping any further bacteria from invading. Spot Medic retails for $14.95. It can be purchased online at www.thespotmedic.com, and will also be available at Priceline from September. Chi Khi – the boutique baby brand founded by singer Natalie Bassingthwaighte – is expanding with the addition of Chi Khi bare skincare. Made in Australia, the baby products are formulated especially for little ones with sensitive skin, and made from natural ingredients. A combination of active ingredients and gentle botanicals to sooth and heal will keep your baby comfy, and Chi Khi’s products are of course free from artificial nasties such as synthetic fragrances, sulphates, parabens and petrochemicals. 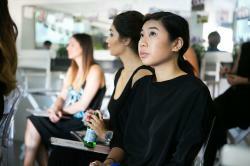 Chi Khi bare’s first product launches are two baby essentials: Wonder Cream, and Natural Nappy Balm. The Wonder Cream ($24.95) is an ultra-rich cream to calm irritated skin conditions including eczema and dermatitis, thanks to Calendula C02 (an anti-inflammatory and anti-bacterial ointment), shea butter, Vitamin E, and Coconut, Pomegranate Seed and Rosehip Oils. The Natural Nappy Balm ($19.95) soothes and protects those tiny bottoms from nappy and heat rashes. Enriched with Zinc Oxide, Shea Butter and Pomegranate Seed Oil, this balm will create a long-lasting barrier on your baby’s delicate skin without restricting its ability to breathe. 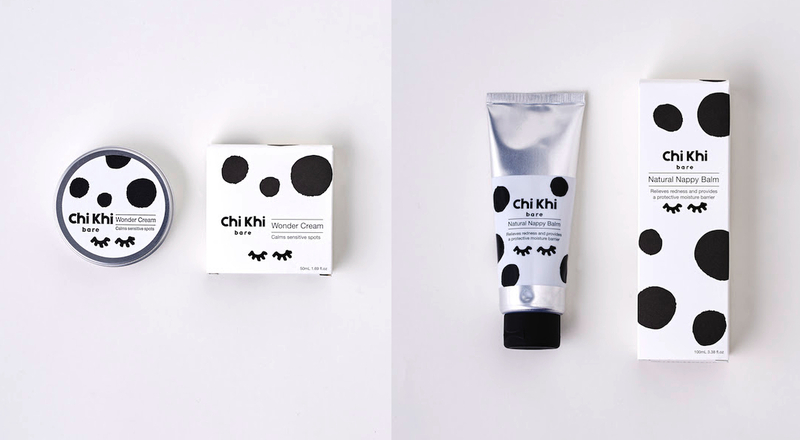 The cute monochromatic packaging of Chi Khi bare reflects the same aesthetic as Chi Khi Mini, the children’s clothing line launched by Natalie. Chi Khi ensures that your baby is happy and comfortable, all the while looking as chic as you.